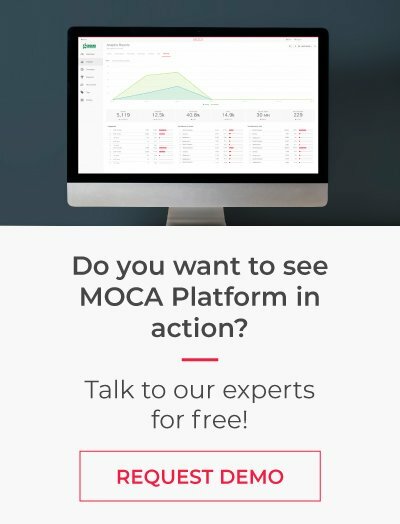 During last weeks, we have been announcing several new features aiming to improve your productivity with MOCA platform. 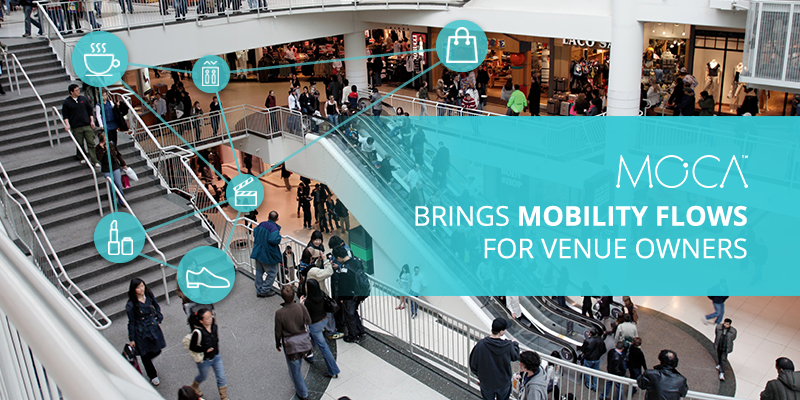 Now, we are glad to announce one of the most advanced features in the location space: Indoor Mobility Flows for venue owners such as malls or airports. 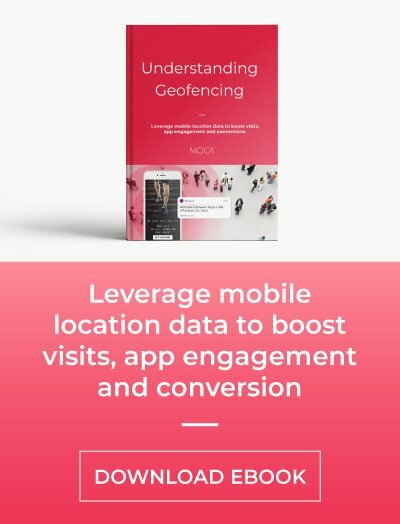 MOCA location intelligence platform provides a new way of investigating your data. Not only can you view the amount of visitors to an area, now you can see how they got there and where they went afterwards. To start with, let's see how it works and what is it for. How does Mobility flows work? MOCA platform integrates seamlessly with existing Wifi solution providers such as Cisco CMX, Cisco Meraki and Aruba Networks. It subscribes to and receives real-time data stream with the estimated location of mobile devices indoors. The location accuracy depends on the provider and usually is less than 10 meters. 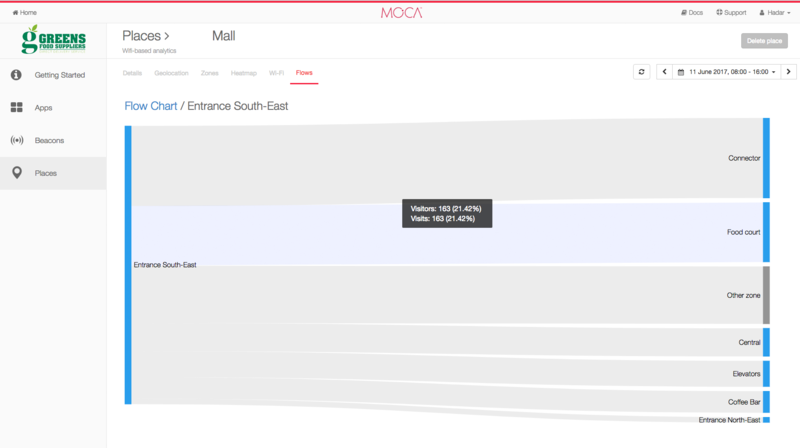 For Wifi networks that do not support location services, MOCA accepts raw Wifi probes data sent by mobile devices and captured by Wifi scanners, and the location calculations are performed by cloud-based MOCA WiFi Indoor Location Engine. Therefore, this feature is available for all scenarios. Using mobility flows, you can understand audience flow patterns between indoor areas, discover commercial opportunities and optimize the layout of the venue. What is mobility flows for? Mobility flows is a very useful tool because it enables venue owners to discover from where their customers come from, where they go to, and finally, understand their customer journey in real-time. For example, a shopping mall can have multiple entrances or access routes. For the owner of the building identifying which entry the visitor utilizes may provide value. From this image above we can see that 21% of visitors who enter the South-East Entrance then go straight to the Restaurants area. 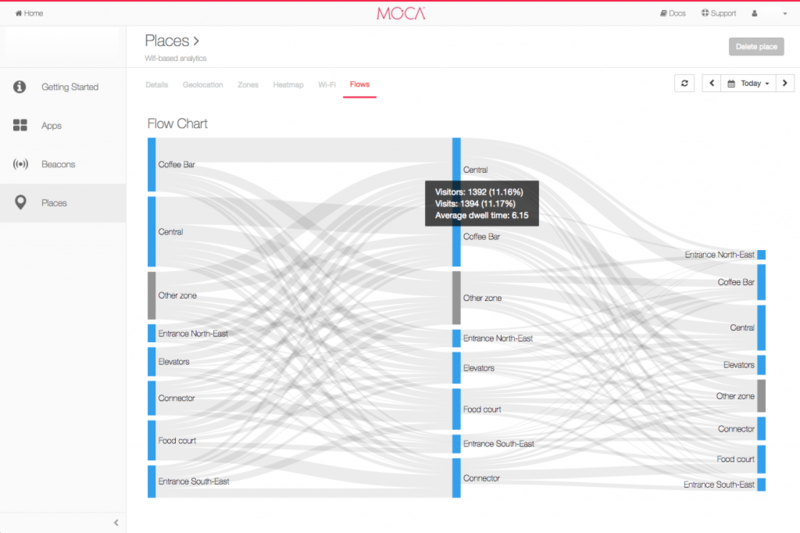 MOCA’s mobility flows shows immediate visitation and so we can say that 21% of visitors were immediately attracted to the Restaurants area upon entering the South-East Entrance. This may be lower than what was expected and so appropriate measures, such as more advertising, can be undertaken and then measured for their success. Mobility flows is another powerful feature for your audience analysis.  It provides an immediate visual summary of the most common routes among your visitors. 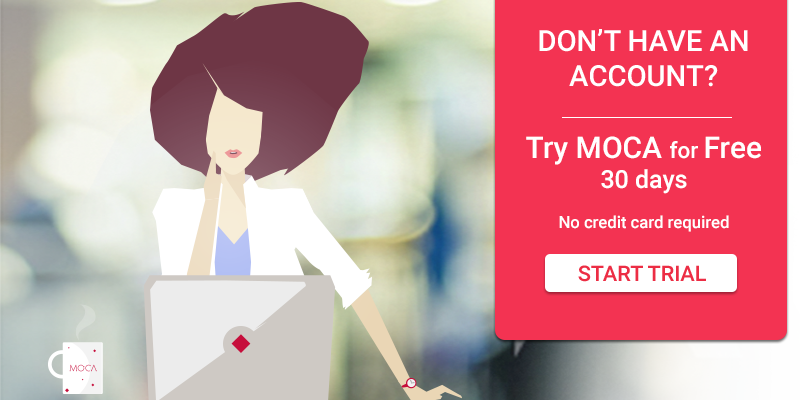 Contact us today and request a demo to see how it works.